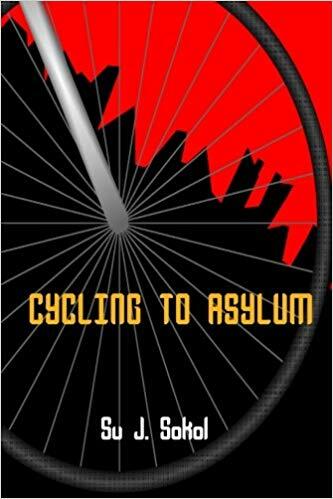 Kiss Off Entertainment is taking SF Canada member Su J. Sokol’s Cycling to Asylum into development as a feature length film, to be adapted and directed by Sara Beth Edwards. The Sunburst Award long-listed novel revolves around young parents whose views are at odds with authoritarian government in near-future New York. Laek is a history teacher with a secret radical past while his partner Janie is an activist lawyer representing the city’s most disenfranchised. Together they struggle with how to instil anti-authoritarian values into their two kids, without those beliefs endangering their children’s welfare in an increasingly hostile political climate. How can they live with integrity and still be safe? Su J. Sokol is a social rights and anti-border advocate originally from New York City where she worked as legal services lawyer. Her short fiction has appeared in The Future Fire, Spark: A Creative Anthology and Glittership: an LGBTQ Science Fiction & Fantasy Podcast among others. Sokol’s latest interstitial fiction novel, Run J Run, will be published by Renaissance Press in 2019. For more news about Sokol’s publications, including where to purchase Cycling to Asylum, visit her website at sujsokol.com.